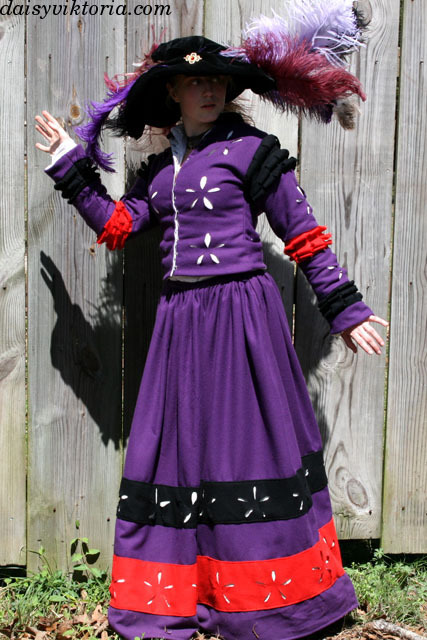 This is 16th century German Landsknecht dress. 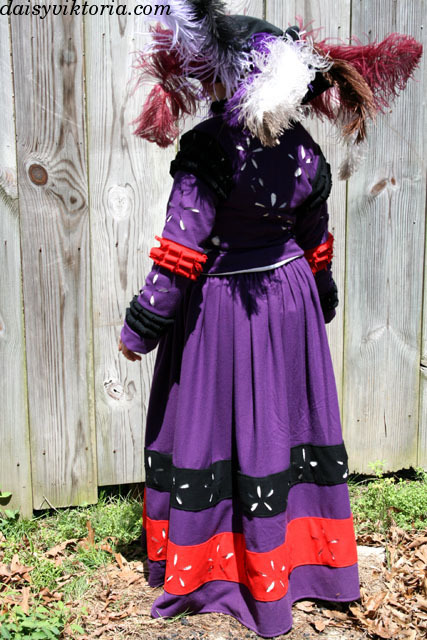 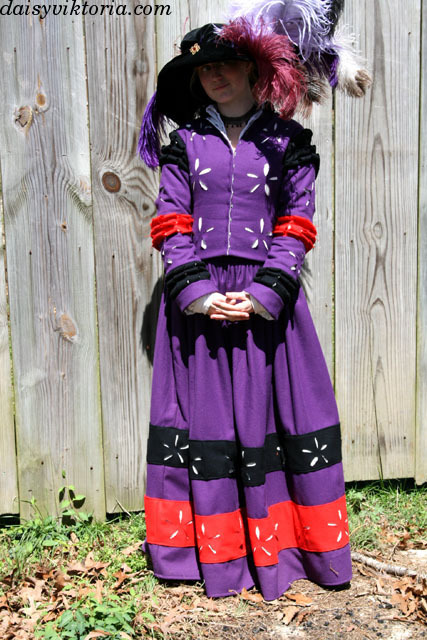 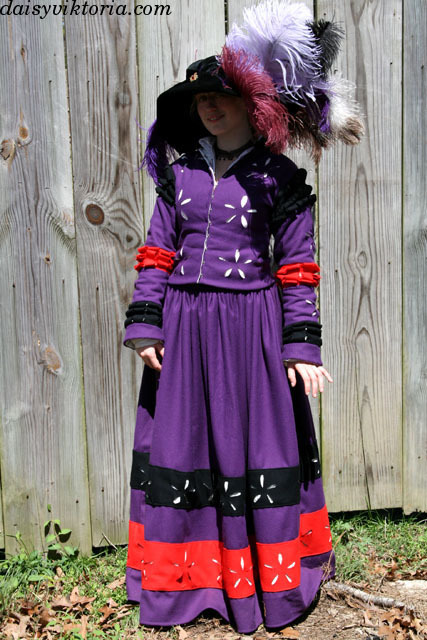 It is made mostly of wool, with contrasting colored guards and lots of puff and slash details. 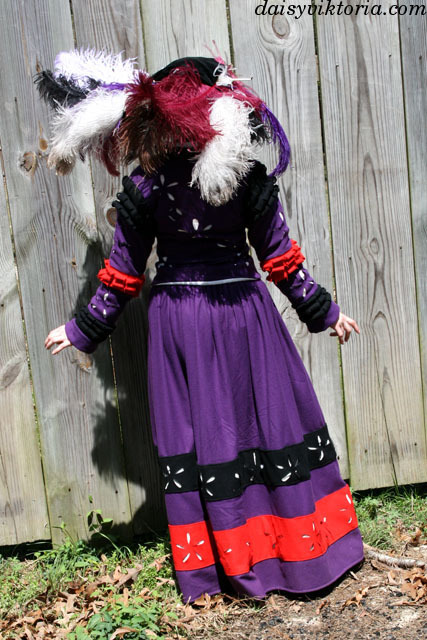 The hat is a velvet flat cap decorated with ostrich feathers.